On the trail – as in life – food is fundamental! While hiking the AT as vegetarians in 2011, we earned our trail names “Veggie” and “Square” (or “Veggie Squared”). Though we did our best and (no offense to our fellow hikers!) ate well by comparison, we swore if we were ever to do another long hike, we’d fuel ourselves better. Lara also finished her M.S. Food Policy and Nutrition, so food has since become her expertise. 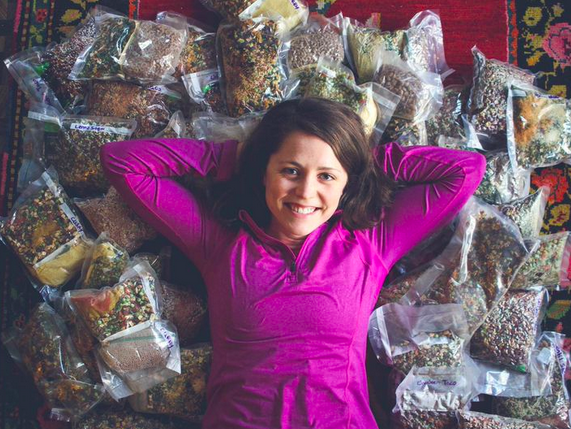 This time around (PCT-2015), we’re hiking plant-based, and we’re super excited about it! We’ve worked hard to create meals and snacks that make us feel strong and satisfied as we make our way from Mexico to Canada. 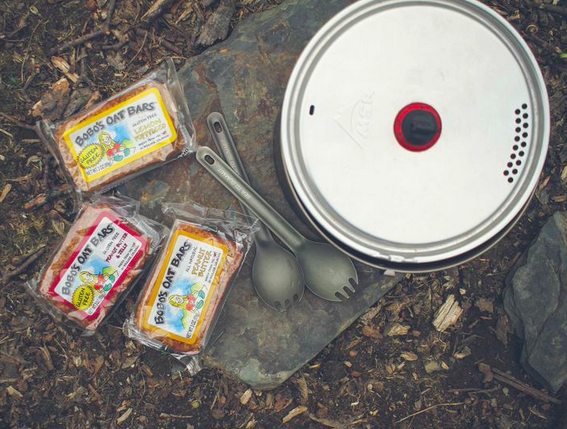 We’ll resupply food every 4-8 days on the trail. About two-thirds of our food will come from “mail drops,” a.k.a. boxes of food we’ve prepared ahead of time to have sent to us at various stops along the way (thanks, Mama E and Mama G!). The rest will come from resupplying at grocery or convenience stores along the way. Midday meals are for the munchies! We’ll be eating lots of peanut butter, trail mix, tortillas, bars, crunchy chickpeas, vegan jerky, and chocolate, thanks to our friends at Taza! Nomnomnom. We’ve been hard at working packaging some 100 dinners for our trek. Lara has fine-tuned 10 dinner recipes that should hit the spot after long hiking days. Packed with calories, healthy fats, whole grains, vegetables (!!!) and excellent flavors, we’re pretty psyched about our staples this time around. Special thanks to these fine folks for supplying provisions!